This workshop is a cross platform collaboration between Borneo Art Collective and online institute CanopyU. 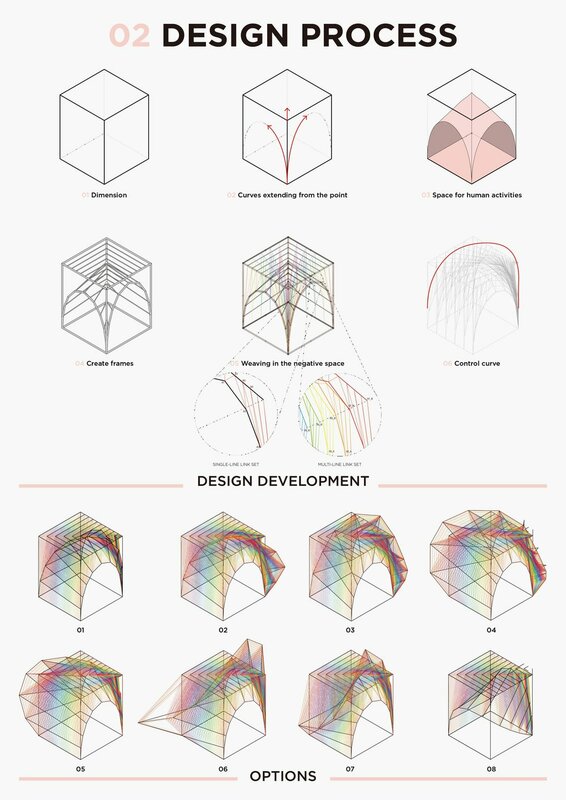 The 8 weeks spatial design syllabus led by Architect (UK ARB/RIBA) Wendy Teo. 1. Bring traditional crafting process and cutting edge design process together. 2. Explore an experimental pedagogy through platform to platform collaboration. 3. Explore installation delivery process through coordinating design and production based in various locations. This workshop requires students to research, represent, experiment, translate and propose for a potential exhibition. Through this multidimensional process, student will get exposed to a long distance collaboration with Borneo based makers, craftsman, project host. 1. Thorough documentation over the outcome in Models, Drawings, Photograph, Animation. Process documentation could be done in Screenshot, photograph, sketches, scans. Students are encouraged to attempt alternative documentation method. 2. Anticipation of the workshop: exhibition representation, model presentation in Digital and Analogue Format. BAC: Which project stood out to you the most? Why? WT: Jing Shu’s project stood out to me with her design exploration. With her consistency, she managed to step further be - yond shape and started engaged other topics like patterns use within the installation and the perspective viewing outward. I see a gradual richness in this explorative journey and her presentation in last crit seems to speak a lot about that. KS: Jing Shu’s project. She elaborated her idea consistently from the beginning till the last crit. She showed the technique of weaving not only the design concept but also the way she can construct it within a limited period of time. BAC: Which project has most potential among the group? How? WT: I personally think Zhang Yi’s project offered a different design perspective, this might be contributed by the fact that his previous training was computer science. In his project, he engaged different color use for constructing spatial perception, which was rarely attempted in architectural project. With simple principle like how lighter tone color has higher light absorption and vice versa, he then setup the logic of how color being distributed in his weaving. It was a pity that the development of his project seems to stopped at the drawing level. He seems to struggle when it comes to appreciating the finalization/ realization/construction resolution of his idea. Since it would involving a lot of repetitive and rigorous effort, which seems to be quite unusual from his previous training. I think in the next stage, his attitude would make a lot of difference on his project translation. WT: On individual -> group project direction, the second phase of the workshop demanded participants to work in group. It means the initially individual project will have to merge with another project to form a group project entity. In order to increase familiarity of participants toward their respective partners, we pre-arranged the participants to setup their own group from the beginning. The earlier announcement of the group setting seems to encourage them to start preparing their further collaboration. Interestingly, it also seems to have a cross referencing effect on how student sourced their inspiration and developed their design development. In second stage, we assigned each group a theme, with an anticipation that students would learn from their respective partners and collaborate. WT: For Liu Xin and Jiao Yue, We thought ‘Tree of life’ could be a theme for their further exploration. Liu Xin has been exploring his work with ‘time’ as reference, while Jiao Yue took inspiration from radial artistic expression of indigenous art. We expect them to explore in the dimension of time, patterns, nature and art as ‘Tree of life’ suggested. This would hopefully enrich their design expression. KS: I could imagine they can elaborating each of their project into a time frame sequence form based(Mainly from Liu Xin) without losing the spirit of indigenous art explored by Jiao Yue. I am interested in how they treat “tree” as their site specific, and how the interpretation again elaborated start from there. WT: For Jun Jie and Jing Shu, it will be ‘Kaleidoscopic cocoon’. 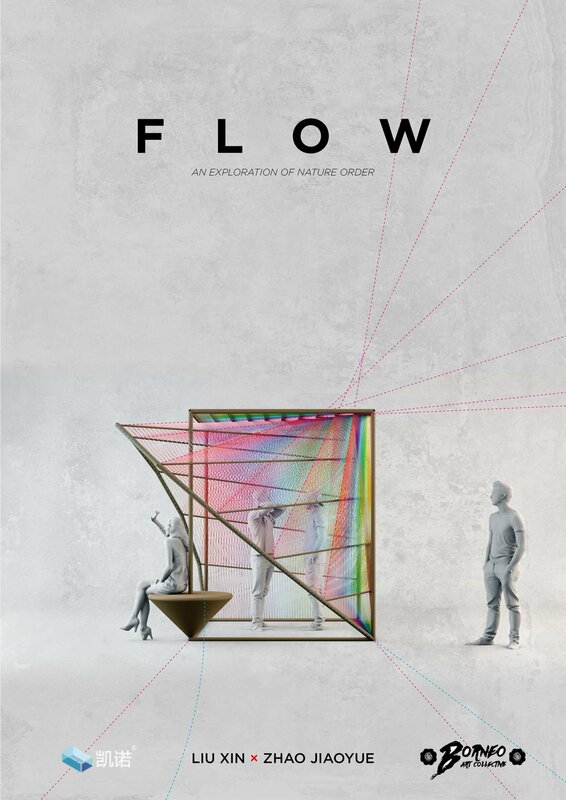 Their further design mission would be elaborating the design potential in pavilion scale and viewing quality. KS: I haven’t really crit about Jun Jie's work, but i could see Jing Shu had already shown us her pavilion scale potential in her spherical form with components based construction quality, looking forward how Jun Jie challenge his idea collaborate with her. WT: For Meng Shi and Jin Fan, we would like them to pursue further with ‘Kulit Wayang’ as a theme. With this theme, we look forward to see them setting up several conditions that they could respond to by combining both their individual design investigation in shadow art and deployable installation. KS: Shadow art with deployable potential could be carried out from them i believed, they could have enriching their design in a relatively interaction and installation manner. 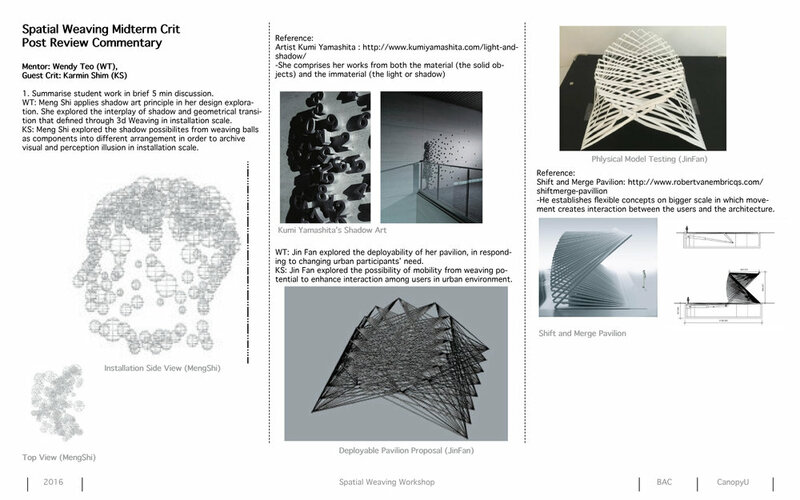 WT: For Zhang Zhe, Zhang Yi and Ziru, this group revealed a very diverse range of interests in our last crit. In order to weave these design agendas together, we would like them to explore further with ‘Ephemeral graffiti’. Luckily they do share a common interest in creating an ephemeral expression, such as coloration, light, wind. 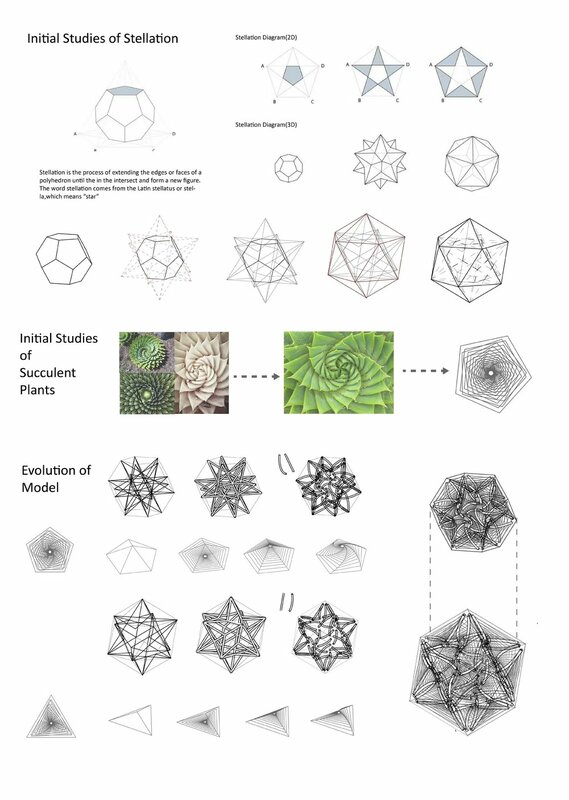 KS: Lightness, color expression, swarm cluster could be their design core keywords. I believed that they can co-operate each of this elements into a large installation with specific diversity so that the result could be unique and unexpectedly stunning. BAC: General review on how this workshop could contribute positively to Borneo weaving technique. WT: As how I pointed out from the introductory presentation of this workshop, weaving is one of the fundamental building technique in vernacular architecture. However it was rarely being explored because of its high level of complexity in building technique. Borneo weaving, however, is renowned for its fashion value and its commercial distribution in the region. 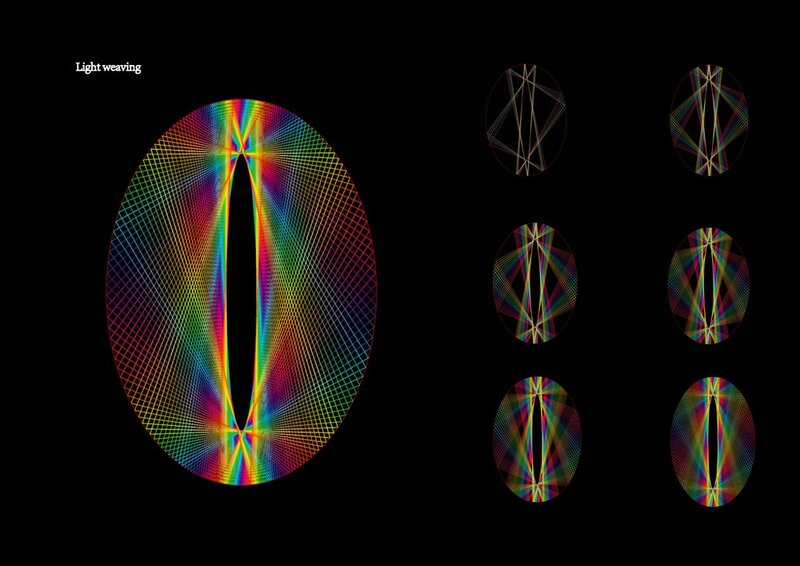 This put us in the question of how could we evolve our weaving technique into spatial design. KS: I could see this workshop not only could contribute to Borneo weaving technique as a new spatial experiment but also the way how the traditional material and new technology design tools could be met equally contributing to a more universal site-specific-driving-context. 6. Projects sharing strategy, online exhibition and offline exposure discussion. How exhibition could be tailored by student output. WT: In terms of project sharing strategy, we aimed to have all our output accessible online. We required our students to document their progress in Mind42.com, which we hope they will be benefited from the conversation that they carried out internally and externally. On the peers’ sharing level, student would get more informed by their peers’ projects. We also hope this could lead to a positive competition. On a public sharing level, they will get more exposure through a real live platform with their work and progress updated constantly. Another interesting bit is, they will get email notification whenever someone updated their project development. I still could not tell whether that was the reason all students would only update their project at the very last minute before every class. KS:I think it provides us a new way of workshop collaboration method.This online remote platform by Mind42.com is appreciating not only how people are brainstorming their idea but also positively stimulating each of the student to see how they are thinking/commenting about their design with others online. On the other hand, real-time interactive platform allows student to update their working status with different media such as idea reference from website, model images, comments from peers,etc. Each project update situation could stimulate everyone by received an email notification. I think so, they will be more alert to their design progress and result in the end. BAC: What could the students learning from this process? I. Digital crafting process: In our workshop process, they picked up Rhino and grasshopper skill very quickly, also they were taught to translate their digital model into physical model. II. Constructing project through individual collaboration: We required student to choose their partner since the beginning of the workshop, We hope they would get to know their partners project better before the actual collaboration happen. As this mid term crit is a summary of individual project output, they are about to embark on a collaborative working relationship with their chosen partner. III. Conversational design development through online exposure: Since this workshop is online based, we have to utilise unconventional tools or instruments in carrying out syllabus as efficient as we can. We pleased to witness a lively and collaborative construction of mindmap. This certainly encourages the student to interact intellectual with their chosen social media. With 4th industrial revolution happening in the background, we thought an open minded attitude is absolutely key for student to have to prepare themselves for a new design era. 2)Learning from peers: Through this real time feedback platform, student can involved themselves freely and take an advantage to learn from the other students/teachers throughout the world. They can have their personal interest in the beginning of the design process and co-llaborate with their partner after the mid term crit by communication and optimisation.This is all about coordination and give the best design resolution till the end. 3)Customising design to specific environment: This is a new way of thinking that we are undergoing a new industrial revolution which allows us to re-construct the most inspiring spatial quality according to the technology tool that we can learn from the tutorial on internet.This is the way to move forward to more customised-result which users could easily interact with it. BAC: Discussion on the model of this workshop, what else could be done if in future we would like to apply to workshop with other art content? WT: This workshop is part of a social experiment to engage Borneo art/craft as a design focus. With students’ investigation on how to evolve Borneo crafts, we would like to setup partnership with local craftsmen. From there, we hope to establish partnership between existing and emerging designer-craftsmen of Borneo. KS: I think this workshop has initiated a new experimental way of collaboration method to gather the same interest people aiming to learn and connect to the local craftsmanship. Of course, there are variety of traditional craftsmanship based Borneo now, and we are the lucky one since this platform provides a meeting chance for people around the world to join, to discuss and most importantly learning how to respect and set up a partnership with local-craftsmen for constructing a local oriented architecture. BAC: Please provide suggestions for each group? 2.Tree of Life - Rainbow effect could be articulated further. At the moment the design seems to be constrained by standard structure. 3. Wayang kulit-Shadow formation will be their design outcome just if you neglected the original prototype. 4.Ephemeral graffiti - They have a great skill palette. Ziru, however, should have taken her design construction into account more in the collaborative work.Their excellent research individually seems to be constrained by their lack of team effort. 1.Tree of Life- Simple design form in certain cube space.They don't really show their best design iteration in this small space with weaving technique. They.They should have explained better with material consideration and ultimate weaving possibilities in it. 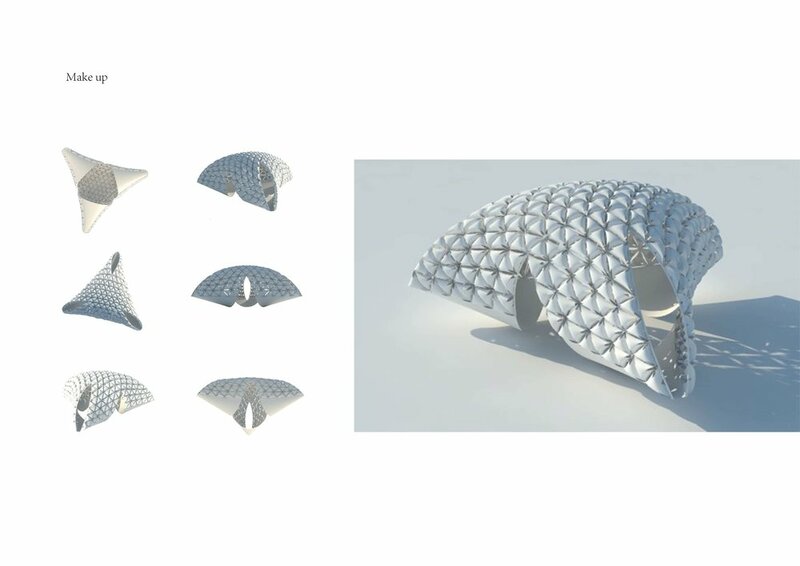 2.Kaleidoscope Cocoon- They have outstanding performance in both presentation and tectonic expression.However their design could be further simplified, constrained and integrated through incorporating the local materials and resources. 3.Wayang kulit - Their focus was on the relationship between weaving and shadow.The outcome is Inadequate of implementation.We think that they could have carefully and clearly define the relationship of weaving logic and light transporting method. 4.Ephemeral graffiti - They showed the best performance among the groups with high distinctive skill.Communication and design collaboration is the key for them to move forward. However we find the lack of team spirit in this team. BAC: Which is the most impressive student group? Why? WZ: The last group,they showed their best performance from both design skills and thoughts.They skillfully proved their design concept,meanwhile manipulates design iterations, well done! KS: Ephemeral graffiti,they proved their intention creating a spatial context with highly learned skill,however,design integration and material construction result should be clarified clearly the next. BAC: Any suggestions for the process of online workshop ?For example,discussion method,design groups formations, design iteration platform, duration etc. WZ: Ensuring students to discuss their project in depth, always refer back to their original intention despite of short time frame. KS: Online workshop is challenging for both individual and group collaboration. I suggest that by setting up an observation mechanism amongtutors and students,students and students would be an ideal to reduce unnecessary problems. WZ: The results should have to be further developed more in construction sense. You will need to pull together a construction team for realization. KS: Every teams has its own potential in its realization and construction. The challenge from now onward will be the integration of work from student and local craftsman.